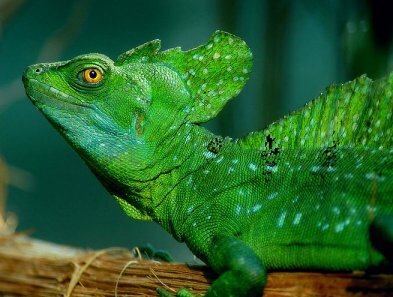 What does the Green (Plumed) Basilisk look like? The Plumed or as it is better known, the Green Basilisk is native to the rainforests of Central America. It has bright green skin and is 2-2 1/2 feet long. 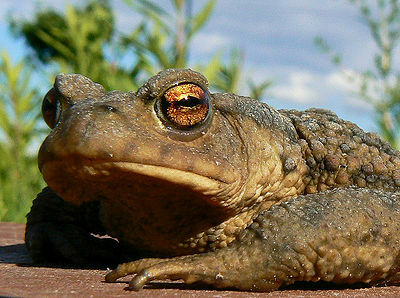 The crest extends from head, back and tail. The tail is 2/3 of the body length. Lifespan is about 7 years. How do I care for and feed the Green Basilisk? Basilisks require a 55 gallon terrarium. 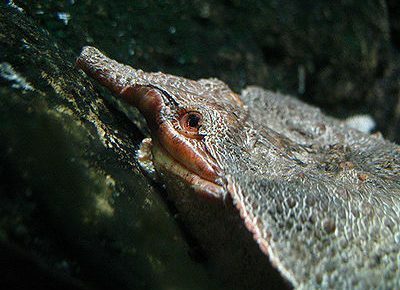 They can run on water for short distances and can swim. Temperature for basking should be 85-95 degrees F, 70s at night. 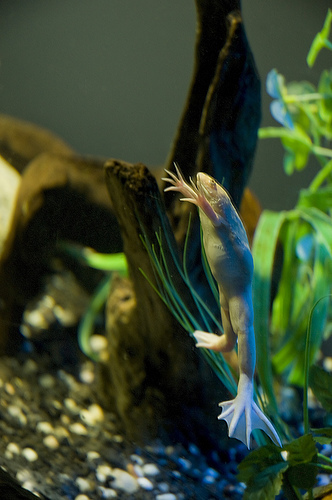 Your pet shop can provide the proper materials to place in the terrarium. Basilisks eat dark leafy green vegetables, insects and some fruit.